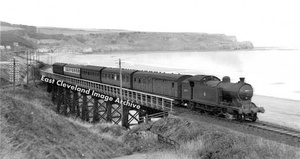 A northbound train of the Sandsend viaduct. I often wonder when this image was taken, knowing that my mother-in-law used to work on Bridling Station (in the railway buffet) pre WWII, but lived in Sandsend. 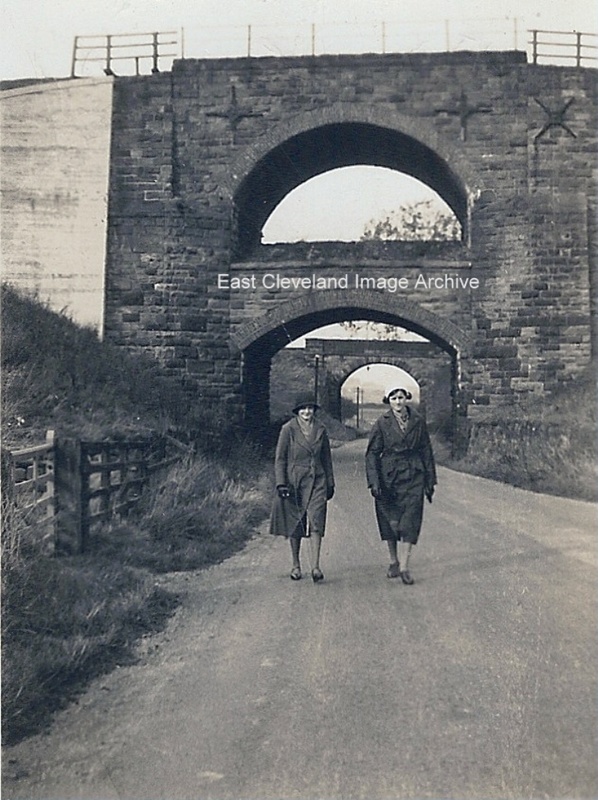 She travelled daily; todays commuters have it easy. As the time spent travelling must have been considerable, owing to the pace of those local trains! Image courtesy of Jean Carass & Maurice Grayson. 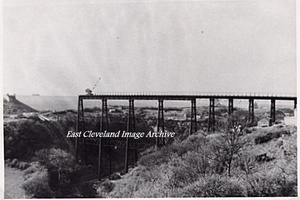 We are now reliably informed by Russ Pigott: ”This is actually a picture of the demolition of Staithes viaduct in 1960. There weren’t too many diesel cranes about in the 1870s!” WHOOPS we got it wrong. 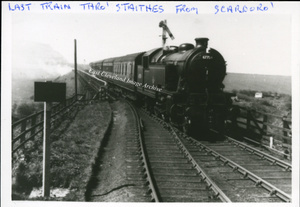 Image courtesy of a supporter of the Archive and many thanks to Russ for clarification of the image. 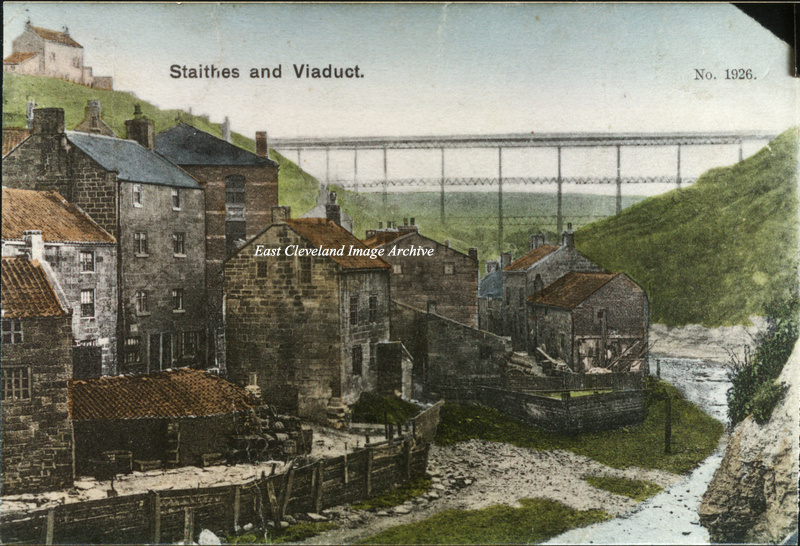 This hand tinted postcard shows how delicate the supporting piers of the Staithes viaduct were and give a greater understanding of how cross winds could affect trains on the structure. 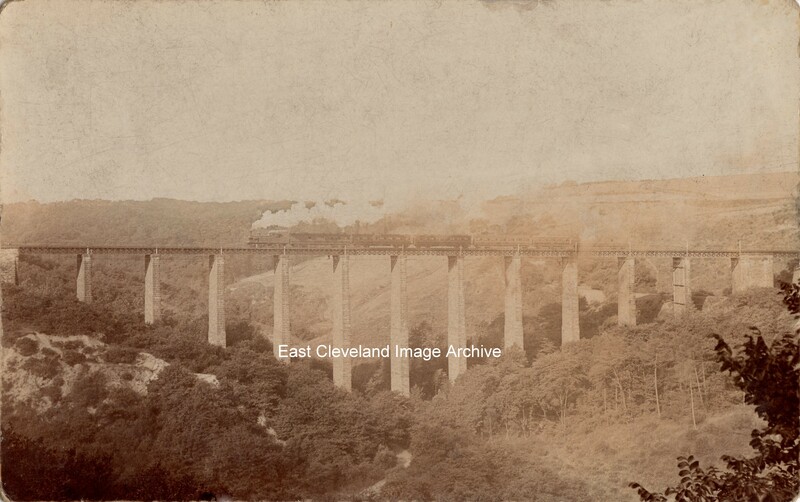 A misleading caption to this photo, The train in fact is leaving the viaduct from the direction of Loftus. Boulby cliff is prominent in the background. The last Train from scarborough ran in May 1958. 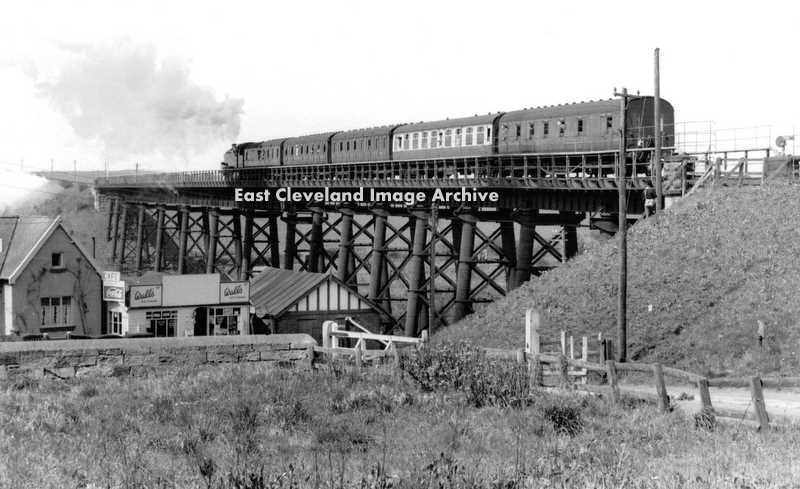 Photograph courtesy of Joyce Dobson & Keith Bowers. 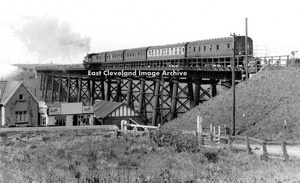 A different train to be viewed on the Raithwaite viaduct which spans Newholm beck, having left Sandsend travelling towards the Whitby Westcliff station. 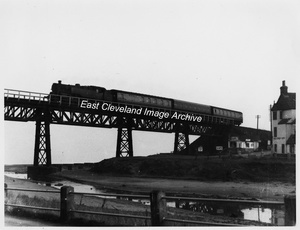 Image courtesy of Maurice Grayson. 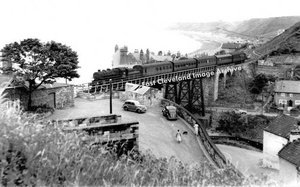 A different view of the Sandsend viaduct, showing a steam train northbound, about to enter Sandsend station. 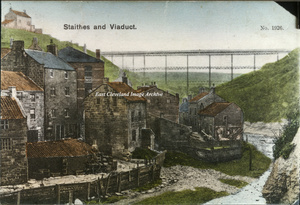 Staithes viaduct viewd from the area adjacent to the station in Staithes. Image courtesy of Owen Rooks and additional information courtesy of Lingdale Communigate site. 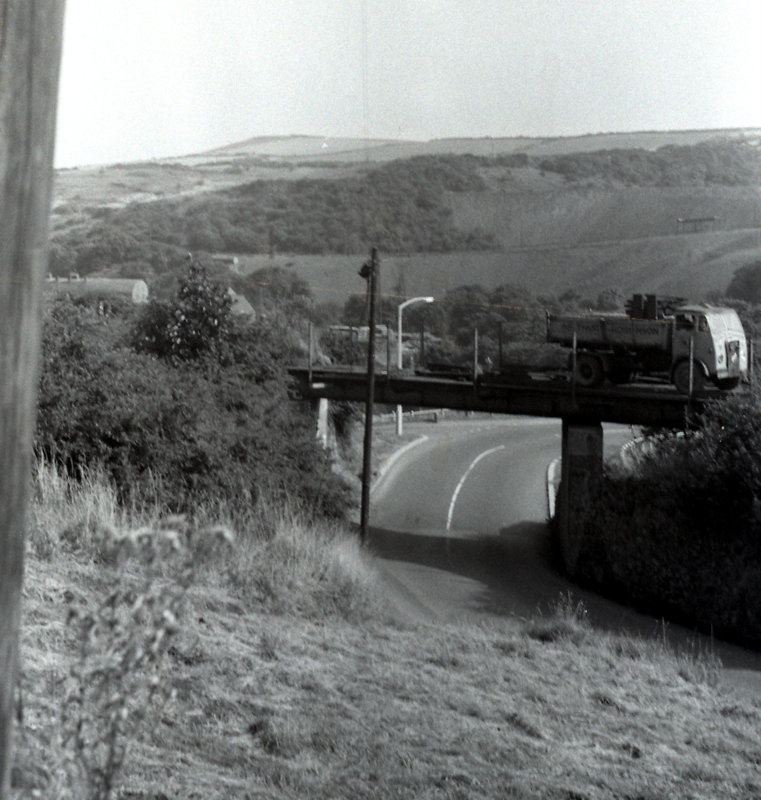 Removing the rails from the bridge down to Skinningrove on the Zig Zag Railway, just below the hairpin bend on Carlin How bank. 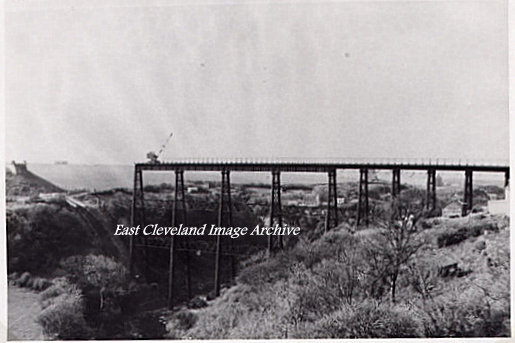 Work undertaken by Darlington District Engineers Department, prior to the bridges demolition, about 1958. Photo courtesy of Ken Loughran.